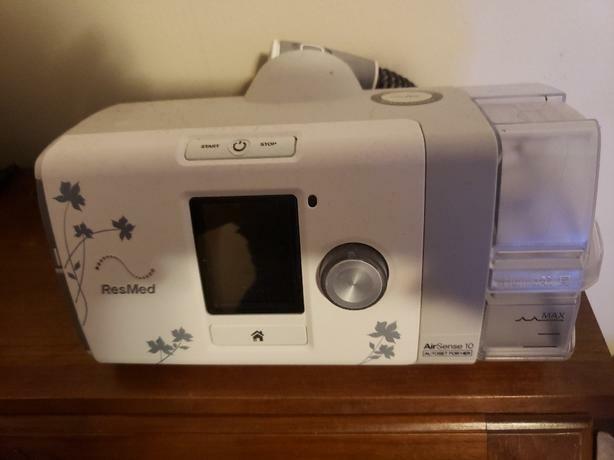 I got this CPAP few months ago. I have used it maybe 2 weeks of the few months. If THAT. It retails for 3200 with mask and nasal masks. I have tried the face mask 2-4 times and I have tried the nasal pieces only one size maybe 5 times. Only for about 2 hrs each time. The machine is amazing, and all hoses masks and pieces gently used again maybe 2 weeks max have been fully cleaned and sanitized. I have decided after more health stuff in my life that this machine isnt for me. My price is 1500 obo but serious inquiries only.